The summer before 4th grade, I spent a good portion of my time making beaded key chains for my backpack for that school year. I think about it now, and all of those key chains were intense. I think you could see more of those beads than you could see actual backpack, but boy, I thought I was legit. 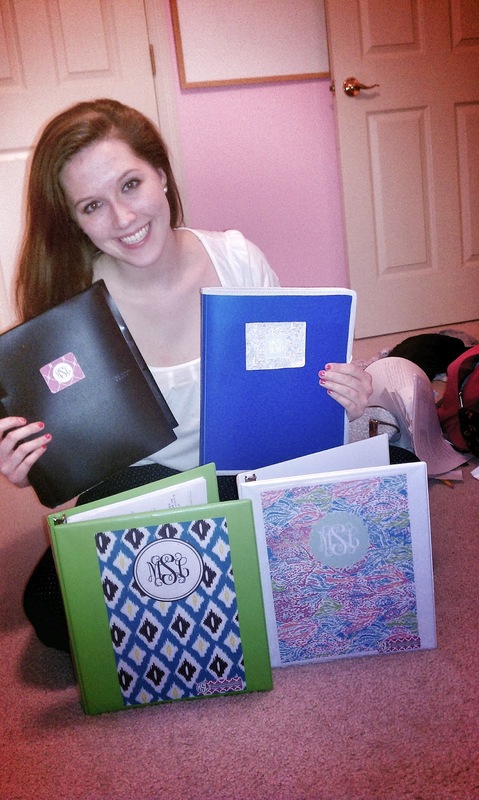 I say that because I've always been obsessed with school supplies. I know we all say now that we love getting new, crisp notebooks, but I've seriously had this really weird obsession since about 1st grade. 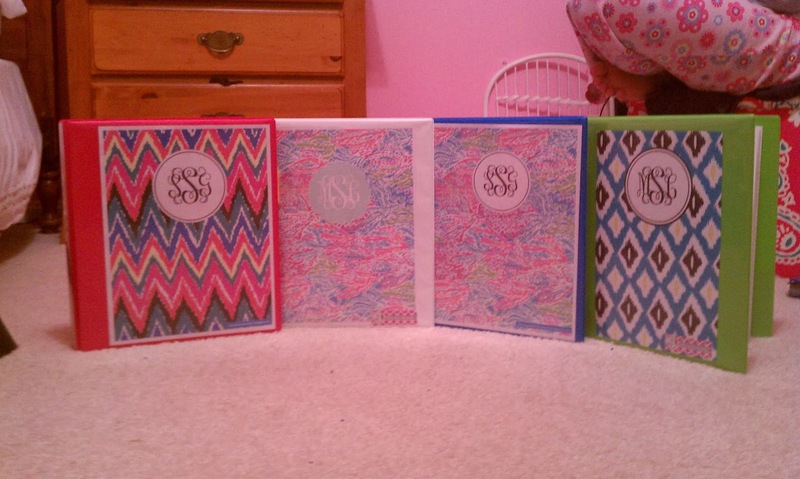 Not only have I always been in love with buying new ones, but making them look really pretty. 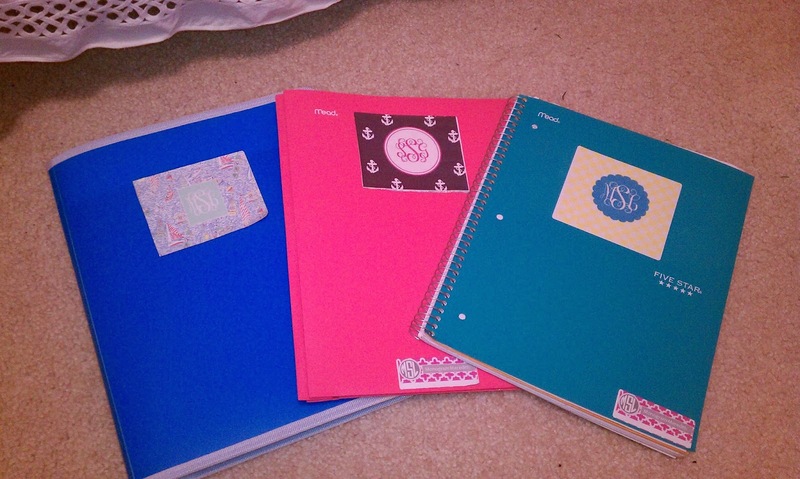 Yes, I know that I started school over a month ago. 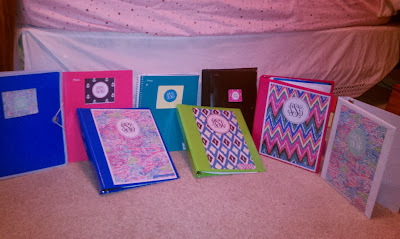 And getting my school supplies together and making them all pretty was one of my first priorities (but shouldn't it be? ), but I never actually posted about them! And y'all know how excited I was to post about my Lilly planner. But like most girls all over Pinterest, I decorated mine, as well as my sister's, with plenty of monograms! 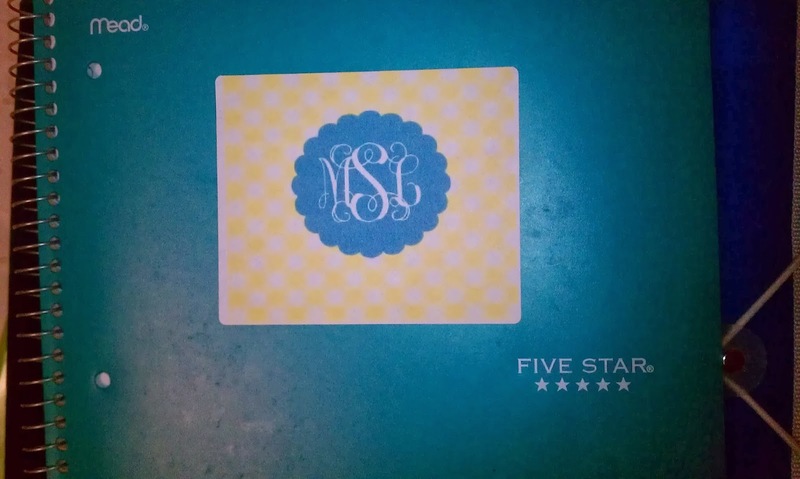 I made binder inserts, but also stickers (simply printed onto labels!) that I was really excited about. 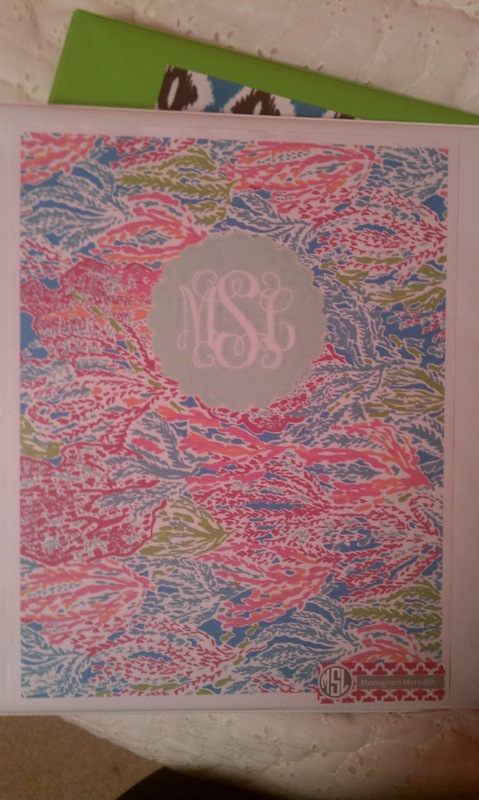 Do you like the Lilly Pulitzer sprinkled throughout? 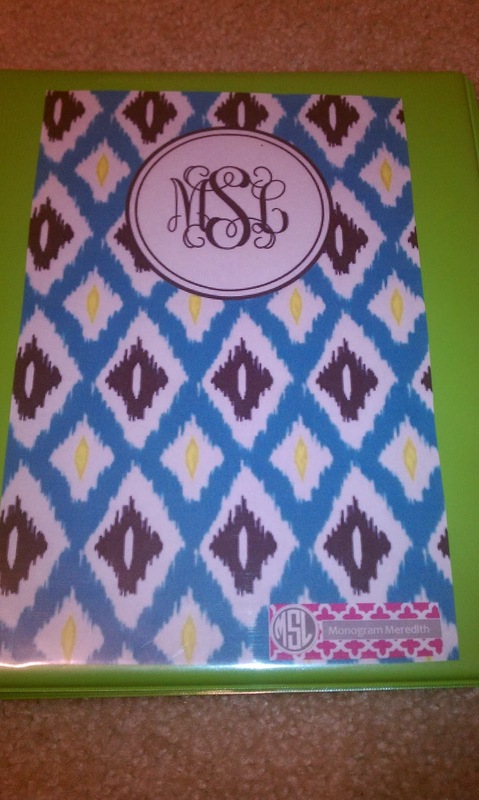 This is the Let's Cha Cha print, which is the same as my planner, and my sister has this one in a binder as well. 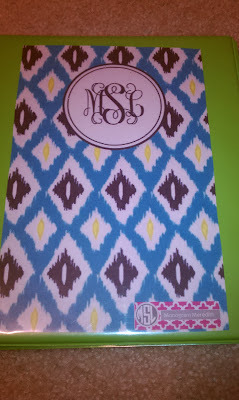 Shelby also used the Hearts a Flutter print (the chevron one), and I used Get Nauti (easily my fave) on a notebook. And I added my own little promo at the bottom of all of the binders and notebooks, but hey, that's business. 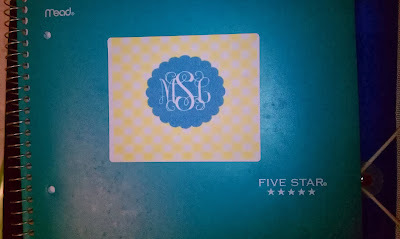 These are all actually pretty simple to do, you can design your monogram on many things online, save it as a picture, then paste it on top of another picture, all on Word. 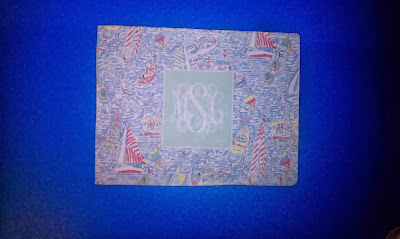 It's really great, I love it for everything! 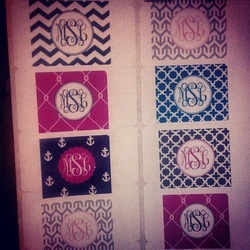 Last year I made stickers as well and stuck them on everything! 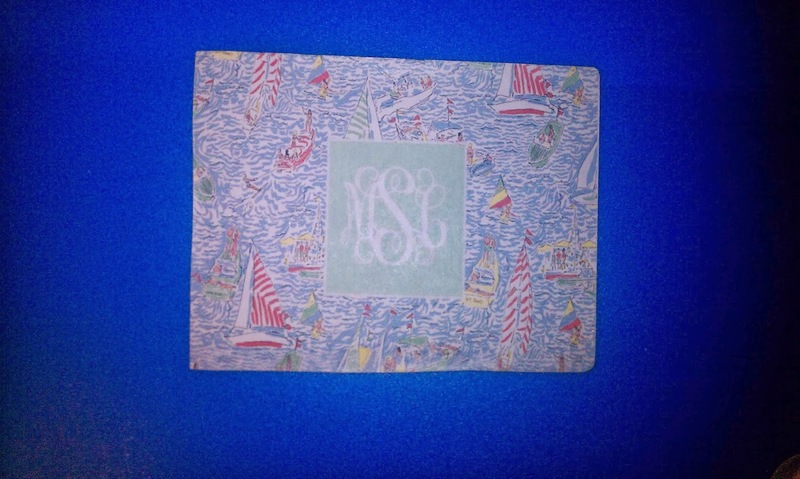 where can i print my own monogram binder cover?